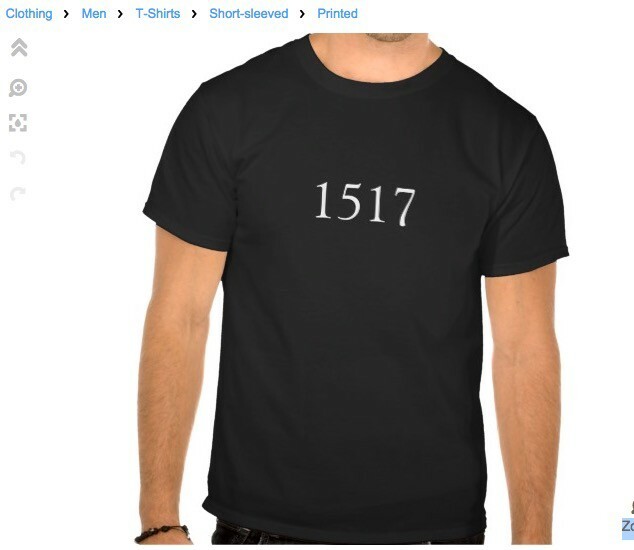 1517 got started by printing two t-shirts off Zazzle. At 1517 we get a lot of requests for feedback on decks, and we love to give it! It’s awesome to have our Anti-Pitch Playbook to point people to. Sometimes people write to us apologetically because we “don’t like” decks. This isn’t quite true…we don’t like a deck being the end all be all of calling cards, it’s just the marketing material for what you’re doing, it’s not what you’re doing. Keep the questions coming! Sorry for the tardy reply. Sometimes email takes a back burner when I have lots of meetings and travel. I’m actually on a plane right now back from Omaha, NE. So your deck from a design perspective looks good. That said, the big question for me with your work is how do you get started? Now, if your answer is “I’ll get students on from campus”…my next question is “how do you do that?” Think of me like the annoying 5 year old that always asks “why” but put in the question “how”…this how question is so important to me because the how is your strategy for what you’re doing and how you get to where you want to go. After someone has answered a number of “hows”, my next point is always, “Oh ok, show me!” So show me the smallest “how” you can get done. That’s where validation comes in, it starts to prove out your assumptions through showing instead of telling. This deck has some really big ideas in it — now I want to see how they’d start to be realized. If the only way something can start is with funding, you’re probably not thinking small enough yet — what’s the next step that you can do to show that this idea has some legs? Get creative! I’m glad you got a lot of feedback from people, that’s helpful. What’s the next thing that you can do to start proving out that people are wanting to use something that you can build soon (one feature)? One thing we’ve noticed at 1517 is that often people have really really big ideas. But breaking those ideas into the action you take today to start realizing them appears to be the hard part. Keep thinking about the next step that you can take. This perseverance to get started and keep making progress, even if it seems tiny, is a characteristic that we look for in spades in founders. As an awesome example of perseverance, last week I was at Maker Faire (so fun!) and ran into a couple of founders who pitched me just a few weeks previously. They were running a booth there, selling their wares, and I was super impressed. I know how hard it is to be “on” at an event for days straight. For this particular team, I think it’s a bit early for us to make an investment, but you better bet that I can’t wait to catch up with them to find out what they are learning from selling their product. And I’m extremely impressed at their willingness to just get out there and do it! 1517 started with ordering two t-shirts. My old tutoring company started as a Craigslist ad. And my charter school started by going to a charter school conference. It takes less than you think.